IS ROCK CLIMBING ONLY FOR YOUNG, FIT PEOPLE? DO I NEED TO HAVE A STRONG UPPER BODY TO CLIMB? I DON’T LIVE NEAR A CLIMBING DESTINATION, CAN I STILL CLIMB? NONE OF MY FRIENDS ARE OUTDOORSY, HOW CAN I FIND CLIMBING PARTNERS? I HAVE A FEAR OF HEIGHTS, DOES THIS MEAN CLIMBING ISN’T RIGHT FOR ME? I DON’T HAVE A LOT OF MONEY, WHAT ARE THE COSTS I CAN EXPECT? WHAT DO I NEED TO DO TO STAY SAFE WHEN CLIMBING? WHAT GEAR DO I NEED TO ROCK CLIMB? WHERE CAN I FIND ADVICE ABOUT BUYING GEAR? I’VE CLIMBED FOR A MONTH IN THE GYM, AM I READY TO GO OUTSIDE? HOW CAN I BE A GOOD STEWARD AT THE CRAG? HOW CAN I SUPPORT CLIMBING IN AMERICA? I WANT TO GET BETTER AT CLIMBING, WHERE SHOULD I START? I AM FEMALE, ARE THERE WOMEN-SPECIFIC SPACES WHERE I CAN GROW AS A CLIMBER? WHERE CAN I LEARN MORE ABOUT CLIMBING? So you’ve heard all the hype and want to try your hand at climbing. Maybe your friends are hitting the local crag each weekend? Maybe you saw the 60 Minutes Alex Honnold Special back in 2012? Maybe there’s a new gym opening five minutes from you? 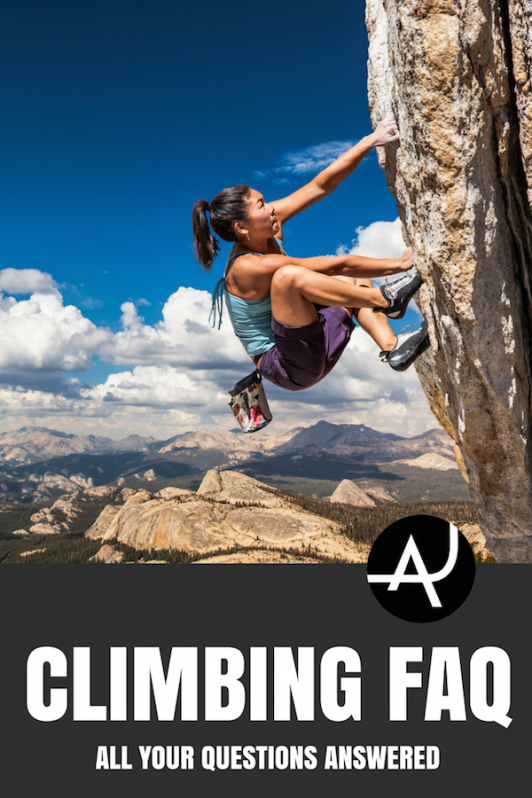 Don’t let your burning questions about climbing hold you back! 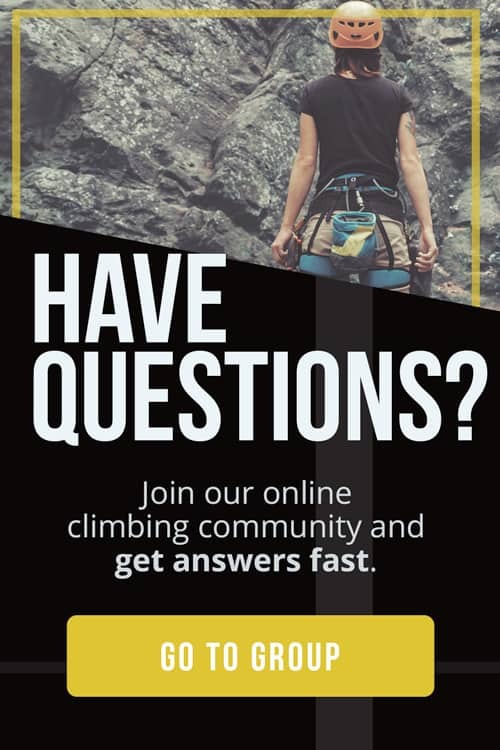 We at The Adventure Junkies are ready to answer your most frequently asked questions about how to get into climbing, debunk the myths, and get you on the rock sooner. There’s no need to hesitate and keep wondering if climbing is right for you – the only way to find out is to give it a try. Absolutely not! Rock climbing is an inclusive sport that is very accessible, particularly with the rise of climbing gyms over the past 20 years. Indoor gyms provide spaces where people in all stages of life can experience the thrill of climbing. Several climbing gyms offer specific programs for youth-at-risk, community groups, or women’s gatherings. I have worked with women into their eighties and people with all body types. Climbing is for everyone. 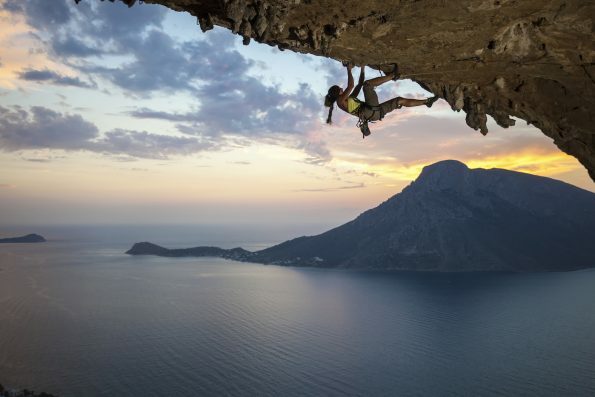 A strong upper body is not a necessity for climbing. Climbing technique is far more important than brute strength. Learning fundamental climbing skills can lead to significant improvements in new climbers and builds a great base upon which to progress. Learning how to climb efficiently is key. Eventually, climbers with great technique will need to make strength gains if they wish to climb more difficult routes. In this case, upper body strength will become more important. 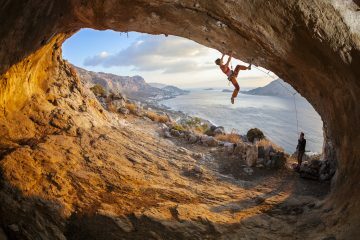 You can get into climbing just about anywhere thanks to the growing popularity of climbing gyms. You can learn a lot about climbing in indoor gyms, and save the outdoor destinations for climbing trips. Fortunately there are outdoor climbing spots spanning the country. Some, like Red Rock Canyon just outside of Las Vegas, can be quite inexpensive to get to. If there is no climbing gym in your town but you are still super keen, you could build your own bouldering wall. Many people build home walls to supplement their climbing training, but they can also be a great way to start a community in towns with no gyms. This is often how bouldering co-ops get started. Climbing gyms often host adult teams or groups in addition to their youth programs. Inquire at your local gym to see if there is a program available. Many gyms also have meet-up sheets that you can add your name to, or ride-share programs for carpooling to local climbing spots. Don’t be afraid to be friendly and chat people up in the gym too – it can be a great way to make friends. Another way to meet climbing partners is to attend an outdoor workshop, clinic, or climbing festival. A few suggestions include the Flash Foxy Women’s Climbing Festival, the Red Rock Rendezvous, or Rocktoberfest in the Red River Gorge. Facebook and other social media outlets can be great ways to find groups of people who might also be looking for partners. If you have a fear of heights there are many options for you. One possibility is to try bouldering, which involves climbing short problems without a rope and then either jumping or down climbing to a mat beneath you. If you are psyched on route climbing though, there are a few ways to work through fear of heights. The first is addressing whether or not fear of heights is the true root of the fear. Perhaps it is actually fear of falling, or fear of the unknown? Another strategy is to really learn and be comfortable with the equipment you are using so that you can truly trust your gear. Lastly, try learning from different mental training resources, like the Rock Warrior’s Way, for exercises, suggestions, and new ways of thinking. Unfortunately climbing can have some financial barriers. Some gear, like chalk bags and climbing shoes, can be safe to purchase second hand, but it is best to buy any safety equipment new as you can never be sure of its history. If you want to climb inside but are worried about the high costs of modern gyms, there are a few options. Check around your town to see if there are any not-for-profit facilities, gyms in community centers, or climbing co-ops as these are often less expensive. Alternatively, bigger gyms often offer discount rates in non-peak hours or have special rates for students. If money is a very serious set-back, ask about volunteer opportunities such as belaying for kids groups in exchange for free drop-in passes. Most outdoor climbing spots are free, so gear is primary the financial burden. Bouldering is the lowest cost because all you really need are shoes and chalk. 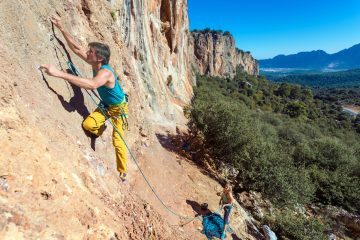 Sport climbing requires more gear, and trad climbers need more gear still. We also recommend investing in an AMGA-certified guide when you first climb outside. Rock climbing is a dangerous sport; however it is possible to substantially reduce the risks in climbing. It is critical to learn how to use all equipment to the manufacturer’s standards. Learning basic technique so that you can climb in control also minimizes risk. 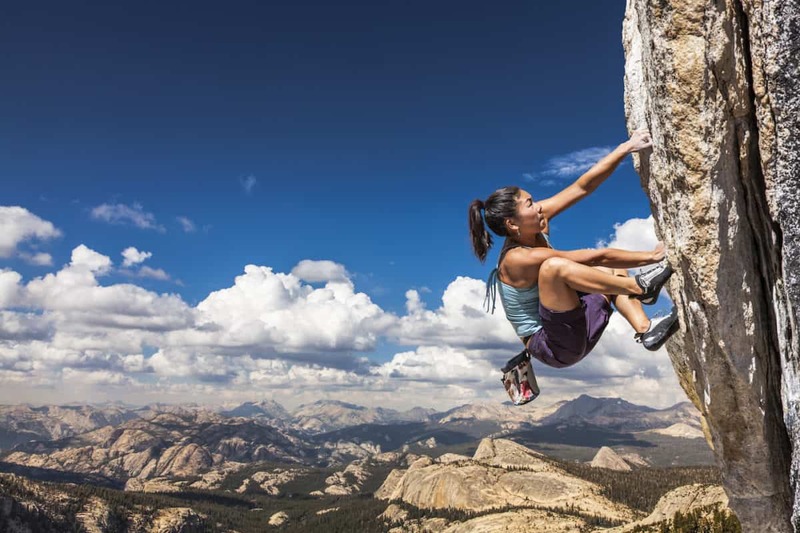 Most of the “safety” in a climbing situation is the responsibility of the climber – usually dangerous situations are the result of human error. First and foremost you need to understand the risks associated with climbing and the personal safety measures required. When route climbing you need to know proper belay technique and rope management. As a lead climber, knowing how to clip quickdraws correctly and maintain good fall lines are essential. Clear and effective communication between partners is critical. Of course, a deep understanding of how to use the necessary equipment and inspect it for wear is important. As a boulderer you must know how to fall safely. Good spotting technique is also very important. If you’re climbing outside, learn good pad placement and how to assess dangerous fall zones. No matter where you are climbing or in what discipline, inspect fixed gear for extensive wear, carefully consider hazards in the area including weather and conditions, and listen to your body to prevent injuries. The gear you will need for rock climbing depends on the type of climbing you want to do. If you’re climbing indoors you’ll have the option to rent gear, but eventually purchasing your own equipment is definitely worth it. 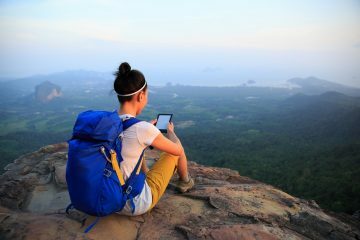 The basics include climbing shoes and chalk, but if you’ll be climbing routes you will also need a harness, belay device, and possibly your own rope. If you’re bouldering outside you may want to add a crash pad or two to your gear closet. Sport climbers will need quickdraws, personal anchor systems, and a top-anchor set-up. Traditional climbers will want additional anchor sets, extendable quickdraws, cams and nuts. Even more gear is required for multipitch climbing, alpine climbing and ice climbing. We recommend learning the specific gear required for whichever discipline you are most interested in. Local climbing shops or your local climbing gym are great places to seek advice about climbing gear. There are a lot of overwhelming options to search through out there, so seeking guidance from knowledgeable experts is a great place to start. Browsing online can also be really helpful. Here at The Adventure Junkies we offer gear reviews and guides. Here are a few of our gear articles to get you started. We strongly recommend against heading outdoors unless you have knowledgeable and responsible mentors accompanying you. 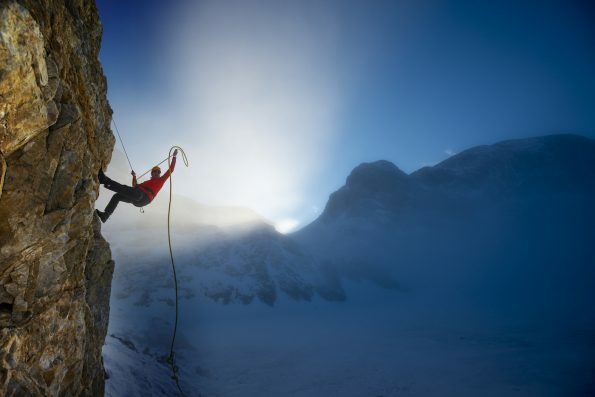 When climbing outside there is much more to consider when managing risk. If you do not have access to mentors in the community, we recommend hiring an AMGA-certified guide to get you started outside. Climbers take pride in their crag ethics. Be respectful of other climbers, the rock you are climbing on, and the land around it. Take turns on routes or boulders, be mindful of others waiting, avoid spraying beta, brush your tick marks, and don’t be obnoxious. Pack out whatever you pack in, stay on trails and off of sensitive areas, and know the bathroom procedures for the ecosystem you’re climbing in. We suggest joining the Access Fund. Your membership fee goes towards protecting the access and integrity of the land that climbers enjoy, and is a fantastic way to join the greater community. The first step is to climb a lot. Observe those around you to learn how they approach a route or problem, use their feet, and move their bodies. Consider taking a technique lesson. If you’re climbing outdoors, climb in as many areas and on as many rock types as possible. Push yourself. Consider adopting a training plan. 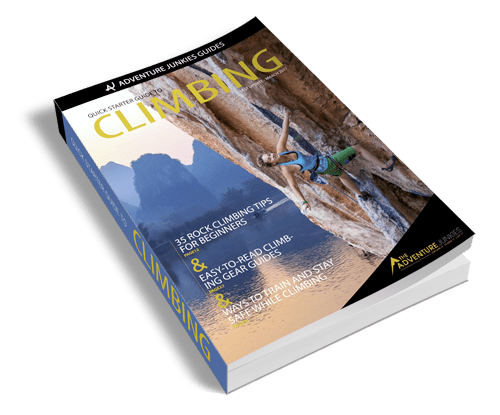 There are a lot of great books out there that can help you progress as well, such as How to Climb 5.12. The climbing community as a whole has come a long way in supporting women in the sport. Still, there can be advantages to climbing solely with other women, in terms of support, understanding, and climbing style. Many gyms offer women-specific clubs and programs. There are also several festivals and clinics popping up around the country, like the Flash Foxy Women’s climbing festival, the Moab Women’s Clinic, and workshops through Chicks with Picks, to name a few. You can learn about climbing in AMGA courses, classes offered in climbing gyms, and through community mentors. Online there are an abundance of resources as well. Climbing magazines offer tips for improvement, motivating stories, and up to date news on who’s doing what in the community. If you work a desk job, climbing podcasts can also be a great resource for furthering your climbing education.